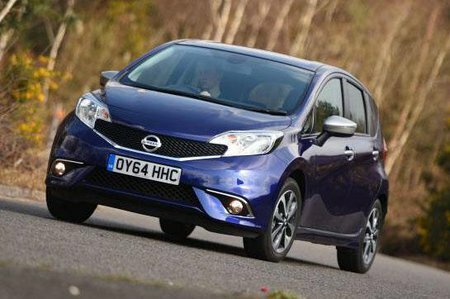 Nissan Note Boot Space, Size, Seats | What Car? The Note has plenty of space in the front seats; even taller adults will have enough head room. Leg room is good, too, with plenty of seat travel available. All versions bar the entry-level one have driver’s seat height adjustment. There is no height adjustment for the passenger seat. The front doors open wide and because the seats are relatively high, you sit in the Note, rather than fall into it; especially convenient for people with bad backs. There are two cupholders ahead of the gearlever, and pockets in each of the doors just roomy enough to accept a large bottle of water. There’s a large glovebox, too. However, don’t go expecting MPV levels of practicality and storage. The Note is very cleverly packaged and has as much space in the rear seats as many much larger hatchbacks and SUVs. It’s considerably roomier than one of its key rivals, the Citroën C3 Picasso, and even the tallest adults will have head and leg room to spare. The central seat isn't as comfortable due to its raised cushion, less generous dimensions and the car’s raised centre tunnel, which means occupants have to place their feet either side of it. You can’t fit three child seats across the back, either. 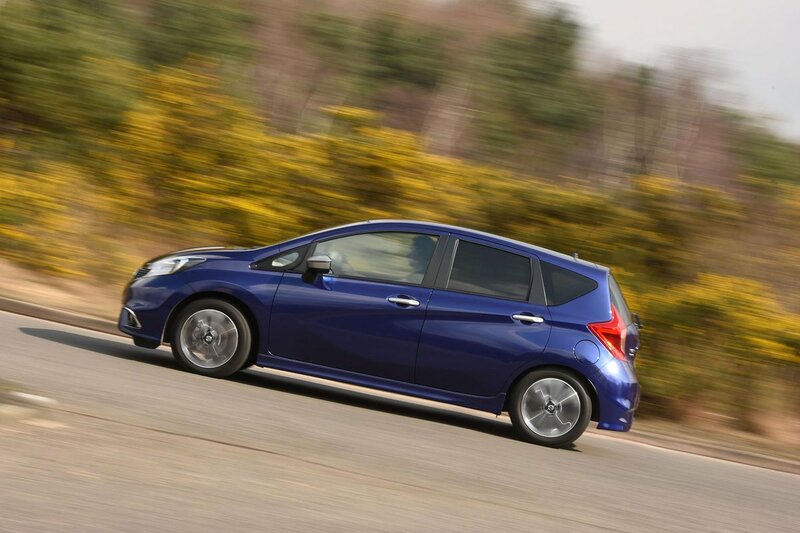 However, as a four seater the Note is truly roomy, while its large, wide-opening rear doors provide outstanding access. On higher-spec versions, you can slide the entire rear bench back and forth as one, but the emphasis is on increasing boot space rather than leg room. One of the Note’s most appealing qualities is its practicality, but it’s not at versatile as some rivals. 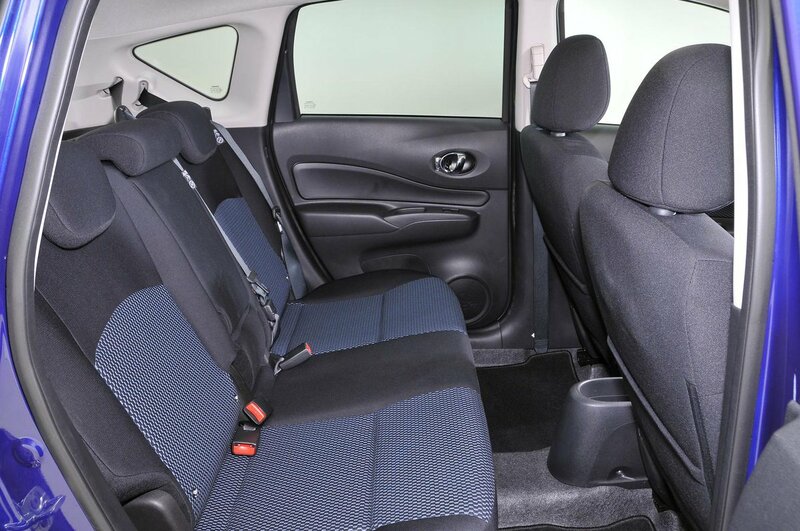 For example, its rear seat isn’t as clever as the Honda Jazz’s. All versions have a 60/40 split rear seat. The top four trim levels have a rear bench that slides back and forth to balance luggage and passenger space. However, it moves as one unit, which limits its usefulness. All but the entry-level car come with a Flexiboard – a multi-position boot floor that allows you to create a flatter load space when the rear seats are folded. Even then, there’s still quite a pronounced step in the load floor. The Note’s 325-litre boot space is larger than a Ford Focus’s and, with the exception of the Honda Jazz, eclipses most mainstream superminis. It expands to 411 litres with the rear bench slid fully forward, although this flexibility isn’t available on entry-level models. All but the entry-level car come with Nissan’s Flexiboard boot floor, which can be folded and set in various positions to adapt to different needs. In its highest setting there’s no load lip, a flatter load space when the rear seats are folded and a handy cubby under the floor. Although the boot opening is conveniently wide, the shape of the boot is spoiled by protruding wheel arches.